At Metro North, we have some of the best nurses and midwives in the country. They are the backbone of our health service. In fact, they make up nearly half of our workforce with more than 7000 nurses and midwives delivering high quality care across our health service every day. Our professional skills, innovative thinking and compassion are what make us an employer of choice and allow us to attract the highest calibre of nurses and midwives. Our short video showcases the depth and breadth of the career opportunities available across our diverse health service. Not to mention the lifelong friendships, culture and lifestyle we enjoy in our workplace and in the Brisbane North area. We are committed to the employment and development of graduate registered nurses and midwives. You represent the future of healthcare and nursing and midwifery professions. Start your career at Metro North Hopsital and Health Services, where our vision, mission and values always puts patients first. Registered Nurse Nezh was the first to join our MNHHS Nurse Bank team. Providing satisfying nursing experiences that result from being a member of our valued nursing team. How does Metro North support the Nurse Bank? The MNHHS Nurse Bank is supported by Metro North’s Nursing leadership team , providing access to unit based clinical nurse educators, and access to ongoing CPD opportunities offered within all Metro North facilities. Appointment to this position requires proof of qualification and full registration or membership with the Nursing and Midwifery Board of Australia (NMBA). Certified copies of the required information must be provided to the appropriate supervisor/manager prior to the commencement of clinical duties. A minimum two years nursing experience as a Registered Nurse in a Critical Care setting is highly desirable. 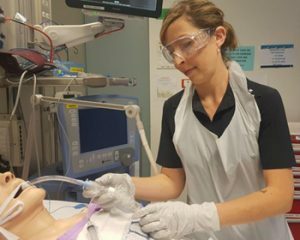 Although not mandatory, possession of a relevant post graduate qualification in Critical Care and/or completion of a Critical Care Transition Support Program would be highly desirable. Nurses are required to work variable shifts over a seven day week and are required to travel and work across Metro North facilities.